The short URL for this page is http://bit.ly/mhGames. I love games in general, but also in math class. 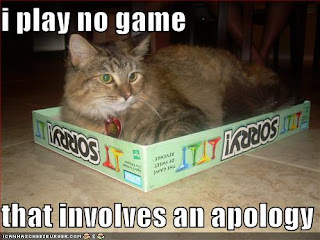 We play many games as a family and love to bring in others to play. I had the good fortune to go to grad school with Richard Garfield who turbo-boosted my games education. I loved his philosophy of meta-gaming: play each game so as to increase your chances of winning all games. A great long term view. I think some of the reasons that mathematicians love math is that it is a lot like playing a game. Defined objects, rules declaring what moves are permitted, desired outcomes... a serious game that is. This is a page to organize the math games I've created or modified significantly with some notes about content and a collection of the best math games I've seen and played from other teachers in the #MTBoS. I'd like to thank my preservice teachers as they have made wonderful suggestions and done lots of playtesting. This page will ever be in development - a lot of games to put on here! Of special note is Kent Haines' site Games for Young Minds. He shares free games, reviews mathy commercial games and writes posts about using games with your kids or learners. Awesome site. Note: links try to open in the Google doc window, so right click or control click. Sorry! - can't find a fix for that. Here's the Google doc itself if you'd rather read it like that. The newest games that haven't made the doc yet are tagged game. James Cleveland and I led a great math game design session at TMC15. Here's the story! Game Design one and two: adapting a game design framework to educational games. Second one has my current framework for thinking about the designed games. Applied the framework to the promising number & operations game Make and Take here. Compared it to the NCTM framework, too. Katie Salen on game design, founder of a game modeled school, Institute of Play, design professor at DePaul. Holiday Game Design: getting 5th graders designing a math game based on Traveling Salesman problem. Doodle Jump: mobile game, connections with Mathematical practices (CCSS) and teaching connections. MCC Math Tech- Friday: my notes on Maria Anderson's Playing to Learn presentation with lots of game links. In particular you should try Waker which is a very good algebraic representation game. Playing Math : wondering why more people don't see math as playing. My old games page which has pdfs of several games not listed here. His page is a great one, so please check out Robert Abbot's homepage, the Eleusis page, or one of his logic mazes at Games Magazine. Eleusis Express also got published in The Games Bible, which was very nice. Jason Dyer and Dan Meyer started a conversation about tiny math games that had teachers contributing many. I gathered them up in a google doc, http://bit.ly/TinyMathGames, and Dan has chartered a website for them in the future. I'm a strong proponent of this idea! Farkle (probability, expected value) and variants like Zombie Dice. 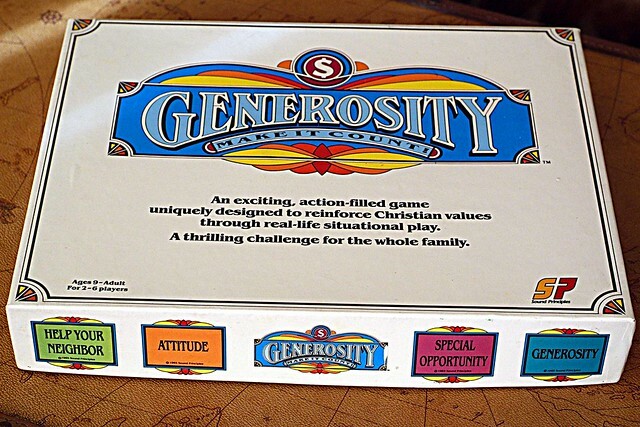 Jennifer Brokofsky reviews some new-to-me commercial puzzles & games from a math perspective. Most of these are available at Funagain Games, IF you can't find them at your local game store, like our dear Mackinaw Kite (which is also on Facebook). I can't close this without a shout out to strategy games. These are amazing for problem solving. I highly recommend Magic: the Gathering, Settlers of Catan, Carcassonne, Pandemic, and Ticket to Ride, among others. I'm going to try to keep track of good game posts, but there won't be much from before Fall 2011. In general, if you're interested in this you should be following James Cleveland, Denise Gaskins, Gord Hamilton, Kate Nowak and Nora Oswald. All prolific math games folk. But again, Kent Haines Games for Young Minds is the standout resource. Julie Reulbach has started a Google spreadsheet of these kind of games. James Cleveland has started a curriculum aligned map. Maria Anderson's Games for Math, from Algebra through Calculus plus more. Char Beckmann has curated a grade-leveled collection with video support for seeing how the games are played. 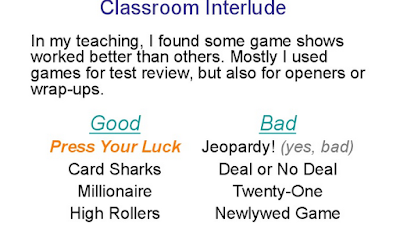 Stephen Bodman has a secondary math wiki which has an online math games page. Cardboard Cognition has games sorted by elementary and secondary and content area, with games for many things besides math. One of the larger (30+) collections of math games I've seen. EDC's games for young mathematicians with a K-2 focus. David and Kathryn Coffey's Joyful Games folder. Matt (@mathmattics) G-spreadsheet of games. Denise Gaskins shares several of Peggy Kaye's classic elementary math games. Mark Greenaway's excellent math games collection. Nora Oswald has a growing game collection on her blog and a neat post on teaching game design. PEP has several learning games, including a download for elementary math games with cards (link to PDF). Youcubed has a few selected games and apps. Tracy Johnston Zager wrote a post about her 3 criteria to evaluate fact apps. Good for games in paper, too. She also has a google doc about games good for generalizing. Nora Oswald is probably the queen of these. She has many, develops new all the time, and Conic Capture game using Desmos, a neat function game: Domain Ranger, absolute value equation game (Love this mechanic & will steal it. ), Factoring game to prepare students for factoring trinomials. Slope-Ping using ping pong balls to score slope cards. The Line Game, updated with a Desmos activity. And, she now has a website for her games! 17goldenfish shares a classic Marilynn Burns target game for number and operations. Vastly adaptable. PDF from Marilyn Burns with her WinWin Math Games. Number, operation and place value. Maria has several variations on her block game. For example, exponent block and factor block. Guillermo Bautista has a teacher-developed integer variation on checkers called Da Math. John Berray has You Can Count On This to get at definition of a function. Marilyn Burns (yes that Marilyn Burns) introduces her game Four Strikes and You're Out. (2 digit addition. Also a great booklet of Win-Win games for elementary number goals. Dave and Kathy Coffey on a nice bingo variation for two digit addition, and adjusting games in general with some other resources. Shawn Cornally's race car game that relates integrals and velocity. Jeremiah has an arithmetic game in Math Checkers. I want to think about this one more. Carole Fullerton shares Cross Over, a 2 digit +/- 1 digit strategy game. She has a division with remainders game, too. Kent Haines' Integer Solitaire is a signed addition and subtraction game for 1 or more players. Gordon Hamilton is one of the great math game designers. Here's Rock for K-2 on numbers and comparing, written up by Denise Gaskins. Tara Maynard's like terms UNO. Dan Meyer shares a neat Michael Serra vector game, Frank Noschese added the general version and an online version. Kate Nowak's speed dating game for rational expressions. Kate also has a good propositional logic game. Matt Paarlberg shares a Letter Game to introduce deduction and proof. Michael Pershan has Baldermath - a really interesting math reasoning game based on Balderdash. Becca Phillips crosses musical chairs & I never for an algebra vocabulary/attribute game. Very promising to adapt for other content. Nicora Placa shares 3 excellent Constance Kamii multiplication games. Quest to Learn has the Caterpillar Game, MS game on probability & data visualization. Max Ray shares a bundle of fraction games. Joe Schwartz writes about using (well) Sum Swamp, a commercial math game, a very good strategy game on a hundreds board for 1st/2nd grade. Elizabeth Statmore (cheesemonkeySF) has a Life on the Number Line game for integers, as well as Life on the Unit Circle, and a collaborative Geometry vocabulary block game. Tracy Zager shares Nim variants and a cool counting game as part of a bigger story about PD. This section is for non-content specific games, the stronger (and more fun) descendants of bingo and math baseball, usually used on review days. I have not always spoken kindly of these, but I appreciate ways to get games in the classroom, teachers using structures that they have already developed, and teachers attending to their students' engagement level. In a Global Math session on Game Show Math, Bowen Kerins included this slide. Important stuff to consider when thinking about using a game: access to all students, minimal advantage for speed, engagement for students who are most in need of review, opportunities to hear other students' reasoning. Alyssa has Stinky Feet, a review game with positive & negative points. Maria Anderson describes her speed rounds game. Bowman Dickson's Math Taboo - for math vocabulary; he discusses use with ELL students. Fawn Nguyen has a neat post on Taboo, too. Tina C does an overview of low, medium and high effort review games. Kristin Fouss' trashketball; Dan Weskelgreene explains trashketball (on variable evaluation here); Julie has perfected the instructions. Denise Gaskin's has Math War for number computation, which Kate Nowak modified into Log War and Jim Pai into Log and Trig War. 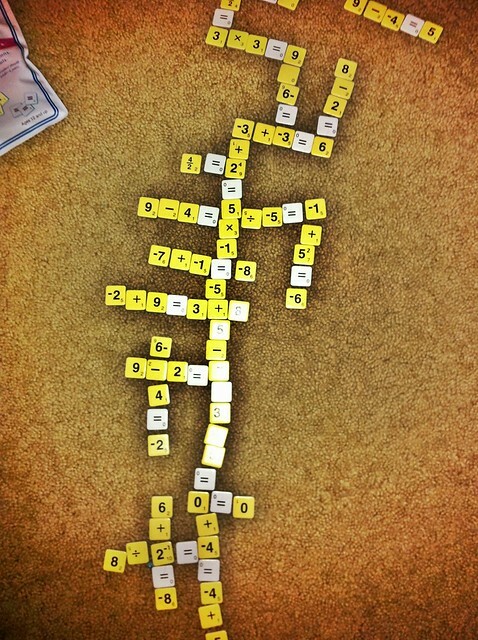 Amy Gruen's math dominoes (here for algebra), game is good for any kind of matching. Kate Nowak has the row game (and row games galore). Molly Kate has an evaluating expressions game and write up. Kate also has the flyswatter game (for conics here). Here's a flyswatter powerpoint I developed for rational functions. There are mistakes, sigh. Here's an elementary version. 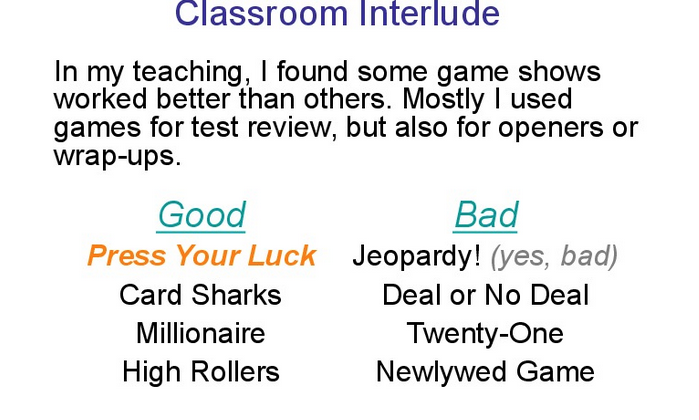 Jon Orr adapts 2 Truths and a Lie into an excellent classroom game. His example is for algebra. Nora Oswald's I Don't Think So review game. Nora's Bazinga has an interesting game layer on top of review structure. Julie Reulbach's Matho Powerpoint template. Tim always runs a week-long hangman game based on his own mistakes. Natalie Turbiville has a bar-style Trivia Game framework. Sarah Van Der Werf has the 5x5 game. Number addition, probability but mostly strategy. Matt Vaudrey has several - see his GlobalMath presentation on them. The MS math wiki has several games of this type. Here's a few review games collected at Davidson. All the Powerpoint templates for TV game shows you could want, including Jeopardy. Reference: As always, Sam Shah's virtual filing cabinet. Man, I gotta get me one of those. I want to start a section here with posts and accessible articles covering the benefits of mathematical gameplay. Simple Games for Young Children - John Hopkins study on a subitizing activity. Not a game, exactly, but it would be easy to gamify. Here's the resources I have compiled so far. (As the Google doc if you prefer.) As a counter point, here's a strongly worded anti-gamification essay suggested by Audrey Waters. What an enormous collection of games, I wish that it was more narrowed down, so that a reader such as me, could be directed to pick one up, easier. Thanks John, this is a great list.